Health Benefits of Avocado for Weight Loss, Skin, & More! Not sure what healthy food to eat? Learn about the amazing health benefits of avocado. The avocado is a popular fruit that is enjoyed by many people, not only for its great taste and texture, but also for its many nutritional properties. The avocado tree, Persea Americana, is thought to have originated in Mexico, Central America and grows in warm climates. The health benefits of avocado offer a rich variety of nutrients that mark it as a superfood for health-conscious individuals. Click here for 4 foods that will improve your skin! Scientific research has concluded that the avocado is high in healthy fats, and its composition is primarily made up of carbohydrates. The fruit grows in a variety of shapes (usually pear-shaped) and skin colors that range from green to black. A small substantial fruit, the avocado can weigh within a range of 8 ounces (220 grams) to 3 pounds (1.4 kg). Vitamin C, Potassium, Vitamin E, Vitamin K, Folate, Vitamin B5 and B6, Copper, Zinc, Iron, Manganese, Phosphorous, Magnesium, and Vitamins A, Thiamin, Riboflavin and Niacin. Another one of the health benefits of avocado is that they are high in Potassium, which can be an added protection against high blood pressure, heart attack, stroke and kidney failure. The avocado is known to be one of the fattiest plant foods, consisting of healthy fats like monounsaturated oleic acid. 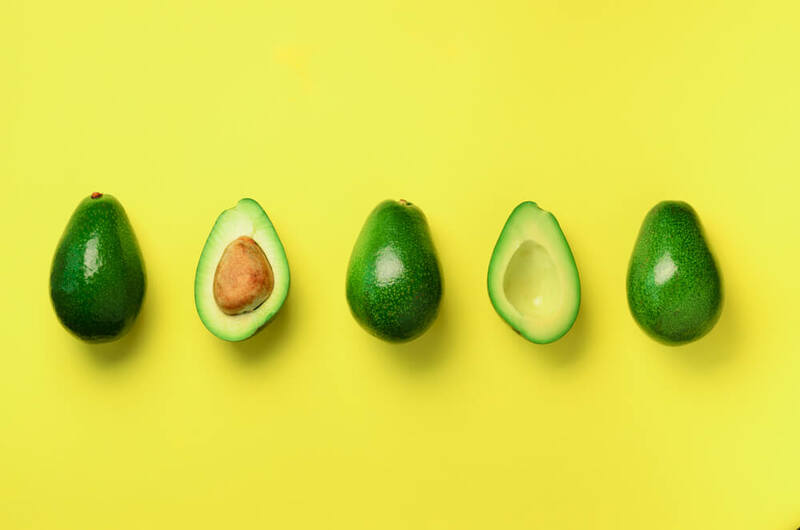 Avocado fat aids in reducing inflammation, has a beneficial effect on the heart, and has been shown to have a beneficial effect on genes that are associated with cancer. Rich in fiber, the avocado benefits for weight loss are significant. Fiber is known to reduce blood sugar spikes, assist weight loss, contribute to metabolic health, and introduce friendly gut bacteria into the intestines. Avocados assist in protecting against heart disease by keeping cholesterol, triglycerides, blood pressure and inflammation in check. A steady diet that includes avocados can result in a denser nutrient intake, and reduce the BMI index. Research shows that adding avocado or avocado oil to meals can increase antioxidant absorption from other foods. Avocados are a great protection for the eyes, because they are rich in carotenoids like lutein and zeaxanthin. These nutrients reduce the risk of developing cataracts and macular degeneration. Research with avocados suggests that it may be helpful in preventing cancer, and also reduce the negative effects of chemotherapy. Medical research has shown that the avocado and its seed caused leukemia cells to self-destruct. Avocado seed can be sprinkled on food and contains antifungal, antibiotic, antimicrobial, insecticidal, larvicidal, amoebicidal, giardicidal, hypolipidemic, and antihypertensive properties. The health benefits of avocado seed include enhanced digestive health and a stronger immune system. The seeds have anti-inflammatory properties that reduce joint pain, swelling, and stiffness, and fight against harmful pathogens. Avocado seed oil increases skin collagen, reduces the appearance of wrinkles, and aids in fighting acne flare-ups.